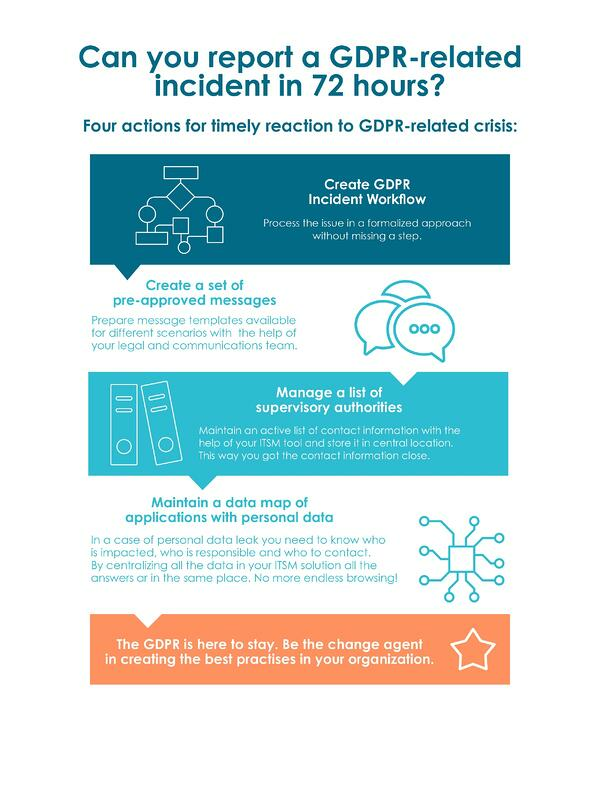 [Infographic] Four steps to meet 72 h GDPR reporting timeline. 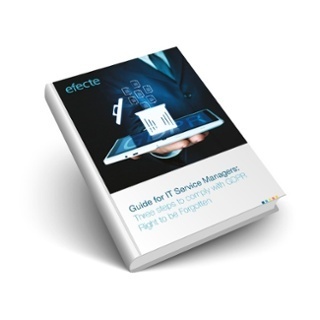 In our previous blog post we discussed what to do with your ITSM tool to comply with the new GDPR legislation and its requirement to report GDPR -related incidents in 72 hours. To make it even easier to understand and follow the different steps, we have created the following infographic. You can also download the infographic here as pdf. Disclaimer: Please note that the statements above are not intended as legal advice.